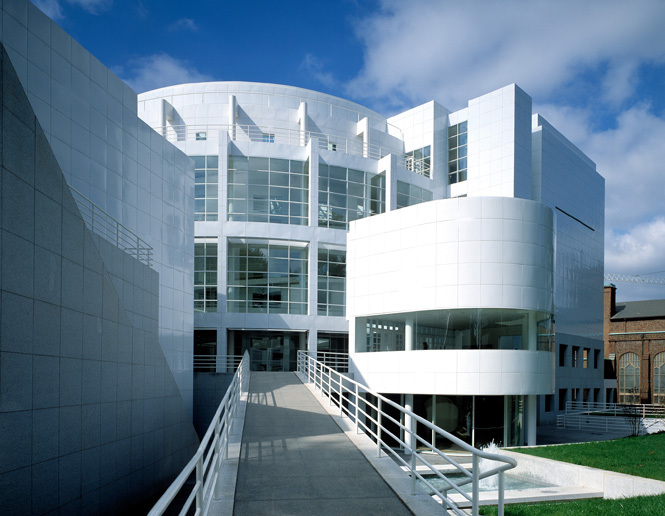 The High Museum is located on a corner site at the intersection of Peachtree and Sixteenth Streets, two miles north of downtown Atlanta and adjacent to the Memorial Arts Center. 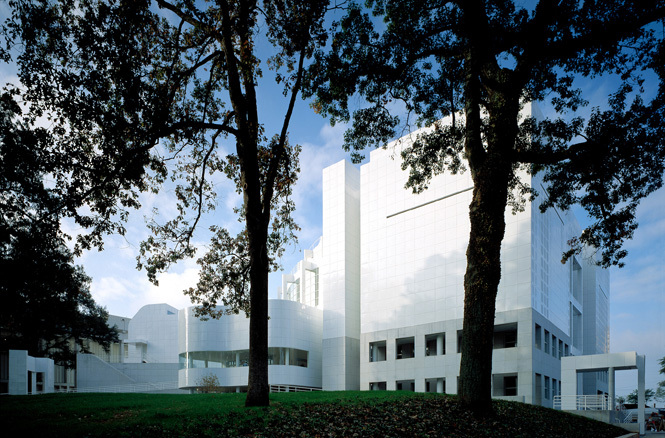 The Museum is designed as a courtyard building with one corner removed. The missing corner responds to the pedestrian approach and to the open, wooded site. 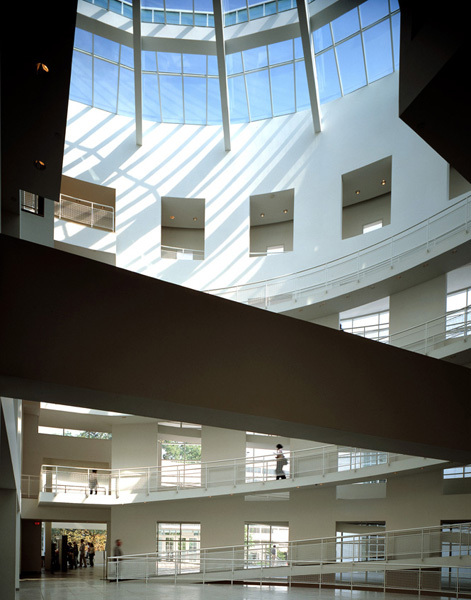 Connecting the remaining sides, a quarter circle ramp and passageway redefine the center atrium and complete the circulation loop of the upper gallery floors. Within the removed corner zone, the auditorium, entry ramp and entry pavilion are positioned by a radial geometry eminating from the atrium’s interior corner.